Arizona State University Department of Psychology Professor Heather Bimonte-Nelson, PhD has been named the Michael A. Cusanovich Arizona Bioscience Educator of the Year. Dr. Bimonte-Nelson will be honored by Arizona’s bioscience and business communities for the diverse and innovative ways that she has inspired students of all ages at the 2018 AZBio Awards on October 3, 2018 at the Phoenix Convention Center. 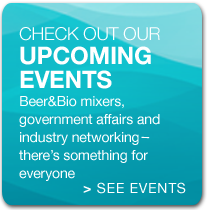 Kick off Arizona Bioscience Week on Monday Oct. 1st. Study at new Ivy Brain Tumor Center is a novel first-in-human phase 0 clinical trial study led by Dr. Nader Sanai at Barrow Neurological Institute, in collaboration with Karmanos Cancer Institute and Translational Genomics Institute. CBR® (Cord Blood Registry®), the world’s largest newborn stem cell company, has announced the publication of the results of the first clinical trial evaluating the use of autologous umbilical cord blood in children with acquired sensorineural hearing loss (SNHL). Scientific progress begins with one idea, one theory, one trial, one success. The small initiatives of today—the incremental investments of time, energy, and dedication that each of us makes—can have a global impact on tomorrow. Our theme highlights the critical daily contributions that combine to bring new breakthroughs to the world. And yes, it can start with one front-office executive or hiring manager resolving to discover new talent or make an inspired promotion that brings vital new voices to the table. Get yours and start connecting!Can’t find your Invite? Visit https://connect.jujama.com/ArizonaBioscienceWeek and retrieve your login credentials with the email you used to register for the AZBio Awards or White Hat OR call AZBio at 480-779-8101 and we can help. Arizona Bioscience Week has something for everyone. Check it out. Save the Date Sign up today. Meet with the NIH during AZBW 2018. Representatives of NCI and NINDS will be joining us for AZBW and will present during the White Hat Life Science Investor Conference. One-on-One meetings will be available via AZBW Partnering. Community – Sign up to join us today. Who’s Hiring? Click here to find out. 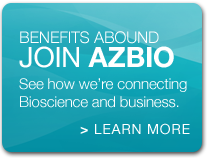 September 30, 2018 is the last day to post your FREE AZBio Member Job Postings. “Connecting Talent with Opportunity” takes on a new meaning with up to ten FREE 30-day Standard Job Postings on the AZBio Career Center between July 1 and September 30, 2018..
AZMN Cancer Caregivers Conference – Young People ARE Caregivers TOO! 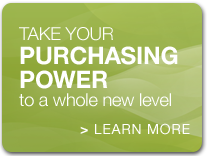 AZBio Members saved over $3 Million via AZBio Purchasing Power in 2017.